Bengaluru FC, on Thursday announced that they have secured the services of Spanish midfielder Luis Manuel Villa, more commonly known as ‘Luisma’, on a deal that runs until the end of the 2018-19 campaign. The 29-year-old has been added to the squad ahead of the Indian Super League registration deadline of January 31, as a replacement for Bhutanese winger Chencho Gyeltshen, who completed his loan move to NEROCA FC earlier. Luisma, a product of the Racing Santander youth setup, made several appearances with the Santander B side before making his La Liga debut with the Green and White in 2007. Spells at Segunda Division B sides would then follow representing Real Union and Deportivo Alaves among other clubs. “I am very happy to have signed for Bengaluru FC, and I can’t wait to start playing for the club. I’m eager to meet my new teammates and to play my part in the rest of the season. I know that BFC is a club that wins trophies and I want to help them do that,” Luisma said after putting pen to paper. 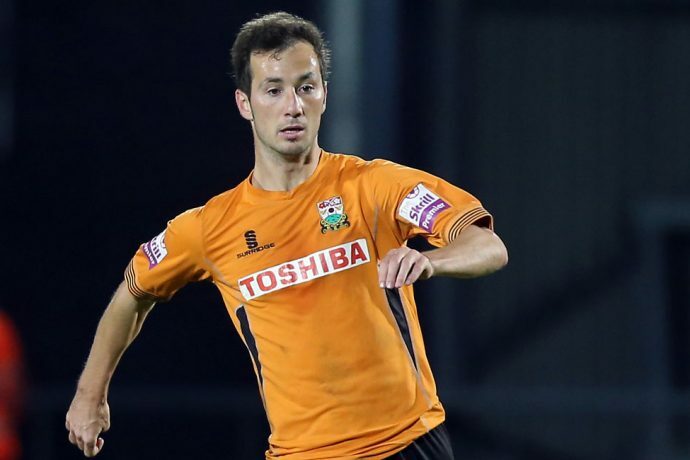 Luisma made the move to England in 2013, when he joined the then Conference Premier side Barnet, scoring 17 goals across two seasons. The Spaniard returned to Spain in 2015, joining Arenas Club de Getxo, before a short spell at SD Ponferradina last season. The Blues’ boss also reserved a word of praise for outgoing winger Chencho Gyeltshen, who he said has played an important part in the Blues’ campaign so far. “Chencho played a crucial part in our campaign, giving us four points against NorthEast United with his two goals, and has shown a fantastic attitude in training by working hard every time. We will be keeping a note on his progress with NEROCA, because he is a young player who we are sure will improve with each performance,” Cuadrat said. Luisma is set to wear the number 9 shirt for the Blues, and will be available for selection ahead of Bengaluru’s clash against Kerala Blasters on February 6th.